Bike sheds are often the least of a bike owner’s worries; you’d rather think about and spend on items, parts, and activities that make actual cycling more enjoyable. But considering everything you’ve done just to make sure your bike is in good condition, it’s all the more necessary that you pay attention to where you park your bike. But how does one make sure their bike shed is secure enough? The growing popularity of bicycling as a competitive sport and mode of transportation makes bikes an in-demand commodity nowadays. These bikes can cost thousands of dollars, so it’s not a surprise that a lot of people turn to the black market for a chance of scoring a pre-owned one for a lower price. It is for this very reason that thieves prey on bikes. So when you are not using your bike, don’t just leave it anywhere outside of your house. It’s best if you store it in a shed to keep it safe. 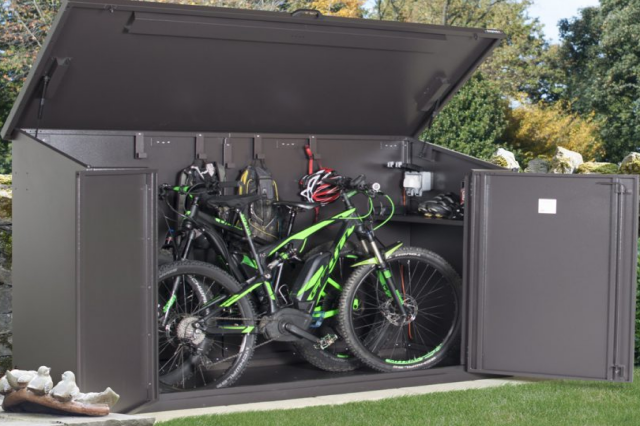 Consider building a bike shed as this is one of the best ways to prevent bike theft. But still, even your ike shed needs some form of protection. A bike shed that is easily accessible won’t do you any good. Here’s how you can improve your bike shed’s security. The first step to take to improve your bike shed’s security is choosing the most suitable area to build it. The area should not be visible from the main road and prying eyes. Your backyard is the best place to build one. Thieves can notice patterns and you might just lead them to the exact spot where you store your bike. If possible, build more bike sheds in different areas in your house or workplace even if you only have one bicycle. With multiple bike sheds, you get a lot of options on where you can leave your bike. You don’t need a fancy bike shed, what you need is a secure storage for your bike. So keep the design simple and drop the unnecessary decorations just to make it look good. If anything, the trick is to make it as unattractive as possible. Even if you placed the bike shed in a secluded area, that wouldn’t be enough to prevent it from getting stolen. You must buy a heavy-duty padlock only from reputable brands to improve your bike shed’s security. Never install multiple locks at once; otherwise, you might just give thieves the idea that a valuable item is inside. Even if your bike is stored inside locked storage, securing it with an extra padlock won’t hurt. Use heavy-duty chains to secure the frame and wheels, better if you can use different locks for the back and front part. Consider installing sensor-equipped alarms and surveillance camera for an added security. This way, you can monitor your bike and prevent thieves from breaking and entering the bike’s shed. If alarms and cameras are too expensive to invest in, GPS bike trackers are a good substitute. 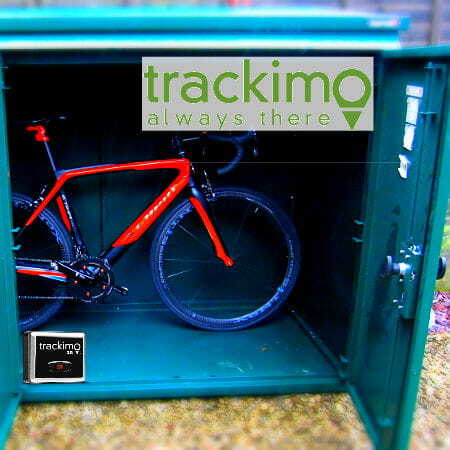 A tracking device, like Trackimo®, is an inexpensive solution to preemptive bike security measures. It is compact and lightweight, which makes it barely noticeable, even to thieves. Despite its small size, Trackimo® is designed to perform big tasks such as tracking your bike real-time wherever it may be. At the end of the day, you always have the option to either keep your bicycle indoor or store it in a dedicated shed. You’d probably choose the latter, thinking it’s the most economical strategy to safeguard your bike. But for a bike you’ve spent most of your time, energy, and money on, it deserves a highly secured shed to protect it from getting driven away to someplace it shouldn’t be. Or learn more about our Bike Tracking GPS.